THE GOVERNER OF The Central Bank, Patrick Honohan went before the Oireachtas Finance committee this afternoon. While there to discuss Ireland’s current economic outlook, talk of promissory notes were first brought up by Honohan himself in his opening address. Referring to the “interim solution” that was applied to the promissory note payment in March 2012, he said that there had been a “very intensive process of discussion and negotiation on this matter”. Nevertheless, it has not been easy to find a generally acceptable solution. Taking into account both the statutory position and wider policy stance of the ECB, an initiative of this type will be novel and as such challenging. Labour TD and chair of the committee, Ciarán Lynch, opened the questioning by asking how the Central Bank would monitor how banks adhered to the Personal Insolvency Act (PIA) and help people to get our of their “dead-end situation”. Believing the act to be something of a last resort, Honohan said that banks should continue to engage with customers as early as possible before any recourse using the legislation is required. He did say, however, that banks should not just kick the can down the road and make temporary arrangements. Believing that cases need to be treated by banks on a case-by-case basis, Honohan said that “clear operational policies” were needed, in order to allow the banks to use the information they have about borrowers and their mortgage situation, which they should then use to help group them into one of three categories: those who were in temporary mortgage arrears; those who, were they to gain employment, could get back on track after a number of months; and those who could not now rescue the situation, regardless of how their personal situation were to change. We can’t take anyone’s constituents and deal with them one by one. That is the job of the banks. The PIA should put more pressure on them, in addition to the pressure that we are putting on them. In response to a question by the Sinn Féin deputy leader May Lou McDonald on the topic of the act, Honohan said that the Central Bank backed the legislation and that lenders would need to as well. The consequences of banks not delivering on this is that they will require more capital. They will lose out on this. Where homeowners were concerned, Honohan believed that there would be “permanent loan modifications” made by banks. Responding to a question from Independent TD Stephen Donnelly, he said that these would most fall into two categories – a reduction in the principal or a reduction in the interest. He added that the Central Bank would not be happy with lenders that continued to apply temporary measures to borrowers when a permanent fix was required. Fianna Fáil TD for Laois/Offaly, Sean Fleming, voiced concerns about the upcoming revaluation of homes in response to the property tax, and what discussions the Central Bank had had with individual lenders about the fact that this would set in stone the fact that houses would now be valued for less than what bank had on their books. We have not allowed the banks assume that the house prices were still worth what they were when they were issued. The Revenue Commissioners will not necessarily provide new information [when they revalue] that would alter our view as to the capital required by the banks. Fleming wondered why this knowledge had not resulted in a write-down “trickling down” to homeowners. Fine Gael’s Kieran O’Donnell asked how important a satisfactory outcome on the promissory note was for Ireland, to which Honohan said it was “very important” and that it was the primary domestic priority for the Central Bank. Honohan was quick to stress that what the European Central Bank would most likely do would be to change the time period or the rates. “There will be no grant element,” he said. Pearse Doherty of Sinn Féin said that in relation to the promissory note, what Irish people really wanted was their money back. “Do you see any situation where this debt will not be paid in any shape or form?” he asked. 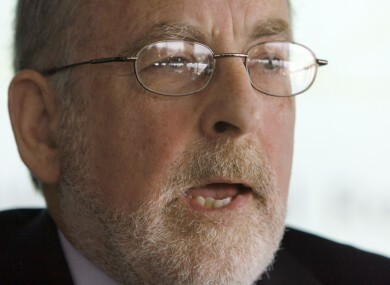 On the benefits of a promissory note redesign, Honohan said it would be advantageous to Ireland. “While it won’t change the debt on day one, it will allow a better path to paying the debt going forward,” he said. Labour TD Kevin Humphreys wondered what the consequences for Ireland would be of simply not paying. There are large sums of money being lent by the ECB at low interest rates. All of this could change if they wanted to, not that I am saying that they would. If you wanted to go through it blow by blow, the blows would be unpleasant. Joe Higgins of the Socialist Party wondered how realistic it was that Ireland would exit the current bailout programme by the end of the year. Email “Central Bank governor believes there will be 'permanent loan modifications'”. Feedback on “Central Bank governor believes there will be 'permanent loan modifications'”.